Pioneers in the industry, we offer name plate for homes from India. 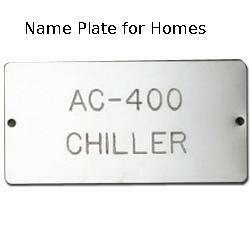 We are engaged in manufacturing stainless steel name plates which can be used in home, offices etc. Looking for “Name Plate for Homes”?